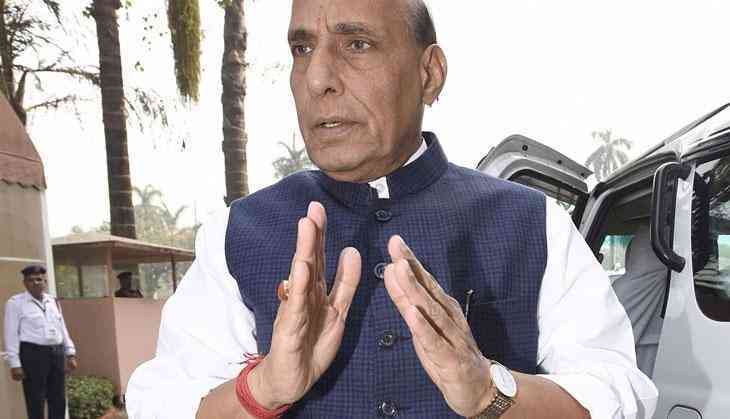 Union Home Minister Rajnath Singh has expressed his regret on firing at the Tripura-Bangladesh border on 17 March, 2017 that resulted in three casualties. The Director General of Border Security Force (BSF) has been asked to submit a detailed inquiry report on the incident. The BSF men on duty near the border area of BOP Bhangamura under 31 battalion BSF Tripura frontier observed 30-40 smugglers including men and women, trying to smuggle cattle from India to Bangladesh through unfenced gap. The BSF challenged them and fired two warning shots in the air to disperse the smugglers, but the smugglers did not pay any heed. They encircled the BSF personnel and attacked them. Sensing their life in danger, the BSF personnel fired in self-defence, in which three smugglers died. Firing was the last resort available to troopers. The BSF personnel also sustained injuries during the scuffle. The BSF personnel managed to seize ten cattle which were brought to be smuggled. An inquiry has been ordered by the BSF into the matter. The deceased have been identified as Parakumar (40), Man Kumar (30) and Swaralaxmi (40) while the injured have been identified as Sunil Kumar (47) and Jiban Kumar (22). Meanwhile, the bodies have been sent for post-mortem. The local police are investigating the matter. Has Konkona Sen Sharma refused to do show on TVF? READ NEXT >> Has Konkona Sen Sharma refused to do show on TVF?